At the weekend I attended a fascinating talk about research by Coeliac UK chief executive, Sarah Sleet, as part of Coeliac UK’s 50th birthday celebrations. It was hosted by the Coeliac UK Sheffield Group at their usual meeting venue, St Mary’s on Bramall Lane. Sarah started by telling us about Sheffield’s leadership in coeliac disease research and diagnosis. Many will know about the great team at the Hallamshire Hospital, including Professors David Sanders and Marios Hadjivassiliou, and gastro dietitian Nick Trott, who are at the forefront of research and diagnosis. One study has looked at the range of genes associated with coeliac disease, exploring links and overlap with other autoimmune conditions. The most significant of those is a link is with type 1 diabetes. This has helped to show that prevention of coeliac disease would have a wider impact on other illnesses. There is an ongoing trial for a vaccine for coeliac disease. In 2019, it is to undergo phase two of a three phase trial programme. This is incredibly exciting but Coeliac UK has made this statement to manage expectations about timescales for a vaccine, which if the trial is successful, would be many years away. Another study has been looking at biomarkers for coeliac disease where symptoms are neurological e.g. balance problems. This is called gluten ataxia and is caused when the antibodies released by digesting gluten attack the brain. This could lead to a test to diagnose patients who don’t experience gut symptoms, by testing for the antibody tTG6 (gut symptoms are diagnosed by testing for tTG2). Where neurological symptoms are involved, coeliac disease is generally diagnosed much later than when there are gut symptoms (on average 53 years old rather than 44) and it can cause permanent brain symptoms. A study looking at bone health has found that in some cases of coeliac disease, the immune system attacks the bone. This means that bone problems are not always down to failure to absorb calcium. People with coeliac disease generally have a different gut flora to people without it. One study is trying to determine if this is down to cause or effect. There’s an interesting study focussing on oats and how people react to different strains. Pure Avenin (the glutenous protein in oats) has been extracted from gluten free oats to test if that is what people are reacting to or if it’s something else in the oats. Understanding of the involvement of specific immune cells in the development of coeliac disease could lead to prevention methods or personalised treatments. Another study hopes to devise new methods of diagnosis without the need for patients to continue eating gluten. Researchers are looking at “memory cells” that have had a response to coeliac disease that can be identified with a blood test, even when gluten is no longer in the diet. A test is being developed to establish whether gluten has been eaten, by identifying gluten fragments that have passed through the body. A urine test could show whether gluten has been ingested in the last 48 hours, or the last two to six days in the case of a stool sample. This could be useful in working out whether symptoms are down to gluten ingestion or something else. It could have benefits where the patient isn’t responsible for preparing their own food e.g. a child at school. There are a number of options being considered to prevent gluten from stimulating the immune cells. These include modifying the grains, using polymers to bind gluten to make it too big to pass through the cell walls, glutenases that break down the gluten, an epithelial barrier to stop gaps between cells in the gut opening up, and tTG2 inhibitors that prevent the antibodies attacking. A grim-sounding but apparently rather successful study has shown that a deliberate infection of hookworms can alleviate gluten response symptoms and improve quality of life. Grants will be dependent on innovation with businesses, and will hopefully lead to some exciting developments such as new diagnostic tests, better food production and digital tools for self care (for example uploading finger prick blood tests). Grants will be awarded later this year. At the end of the talk, Sarah addressed the burning issue of the high cost of gluten free food. Standard bread producers are able to study the chemistry of wheat in batches of flour, enabling them to make minor adjustments to recipes to produce a consistent product. It’s much harder to get consistency with the chemistry of the multiple ingredients that go into gluten free food, so the single biggest issue for gluten free food producers is probably wastage. If you’d like to find out more about current research, have a look at Coeliac UK’s Research and Campaigns page. To donate to the research fund, have a look at the Donate page. 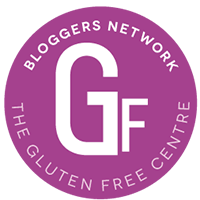 Tags: Coeliac disease research, Coeliac UK, Research talk, Sarah Sleet. Bookmark the permalink.